Changelog: Version 1.7 - Added new secret location next to New Hamburg, added railgun to one of the loot tables. 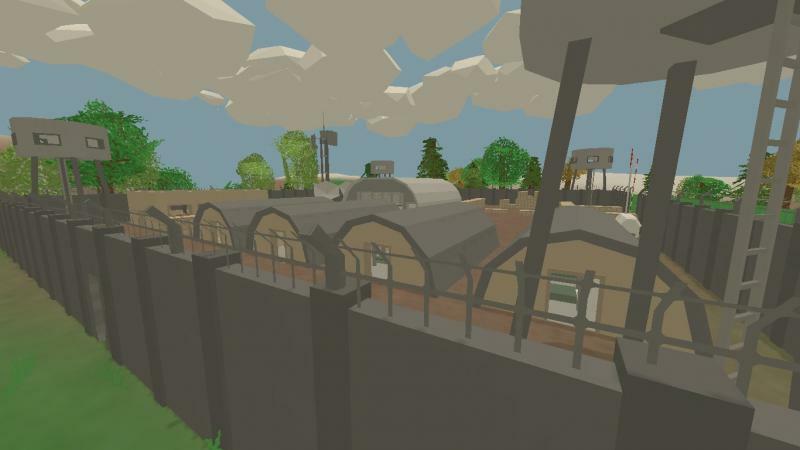 Version 1.6.2 - Added all stuff from unturned 3.8.7.0, decreased probability of spawning inside the military base, fixed bug with suddenly respawning zombies in Boomville. 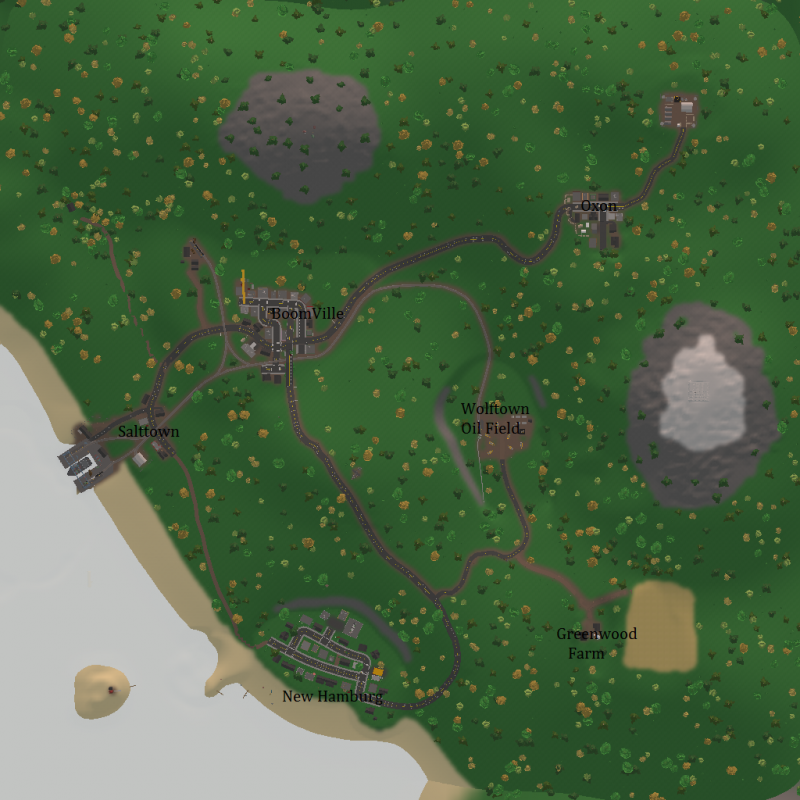 Version 1.6.1 - Slightly inceased overgrowth of New Hamburg, added names for the new city and the oil field. 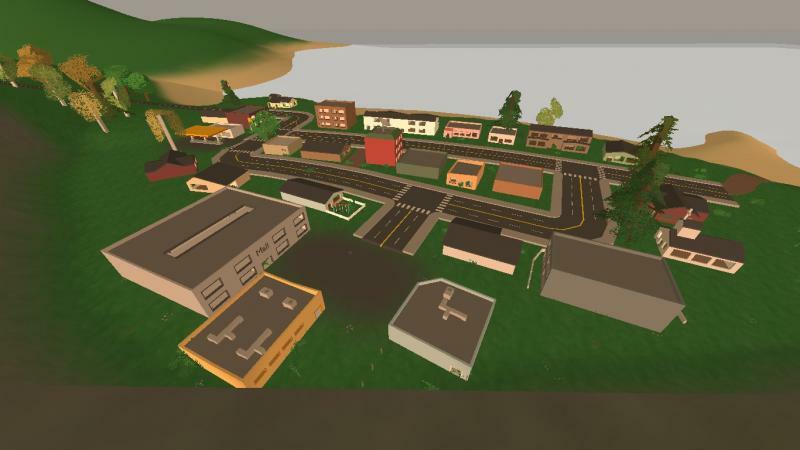 Version 1.6 - Added furniture and player, zombie, item and vehicle spawns in the office city (still thinking about name for it), moved the player spawns to new places, increased plrobability of finding guns in militia places, improved overgrowth of New Hamburg and forest cabin, darkened the night, improved terrain and materials of two highest mountains. Version 1.5 - Added new office city. Version 1.4 - Added overgrowth to New Hamburg, improved materials. 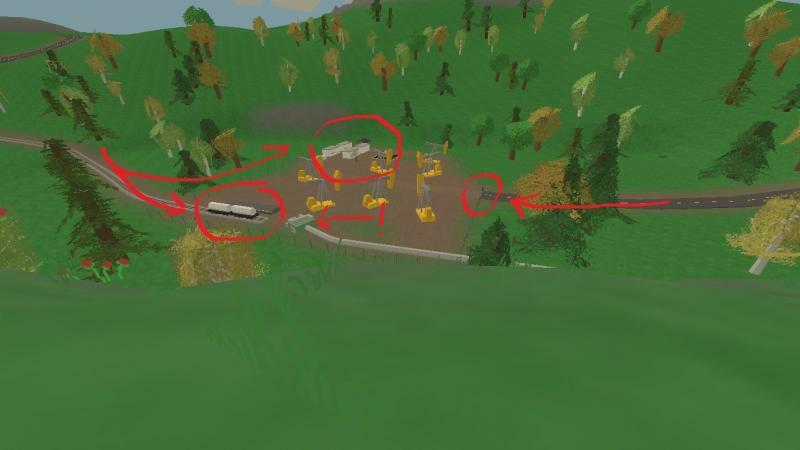 Version 1.3 - Added berdrolls to campsite loot, added car spawn for forest cabin, added berry bushes around the farm, base, cabin and plane crash, increased sizes of pathfinding areas, removed rake from hardware loot table and moved it to another one. Version 1.2 - Added militia bunker inside the snowy mountain, added giant military zombies, fixed engineer zombie without hat. Version 1.1 - Added all items from update 3.7.7.1, added navigation area for crashed car, added cabin near the sawmill, added correct loot for zombies, improved ligting during the dawn. Version 1.0 - The map has been released. Please make sure that you wrote a comment with your opinion of my map. Also report any bugs and glithes that you found. Ps. Thank you Wolftown24 for recording my map for youtube.